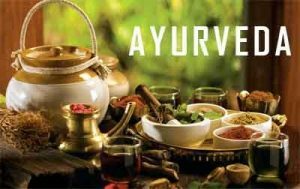 New Delhi : A national protocol for treating diabetes through ayurveda was unveiled yesterday at an event to mark the first National Ayurveda Day. A logo for National Ayurveda Day was also launched. Minister of State in the Prime Minister’s Office Jitendra Singh was the chief guest at the event and MoS, AYUSH Shripad Yesso Naik presided over the programme. Under the national protocol, the AYUSH Ministry has recommended treatment of diabetes through ayurveda. Singh gave away ‘Dhanvantari Awards’, carrying a cash prize of Rs 5 lakh to three eminent practitioners of ayurveda. “Each year a single disease will be kept as a theme to generate awareness about its prevention and control and to promote research in that area,” he said. AYUSH Secretary Ajit M Sharan addressed the gathering and explained why diabetes was chosen as the theme for the day. “Taking a cue from that we thought we should have a similar mission arising from ayurveda as well,” Sharan said. He said that 200 research fellowships will soon be instituted across all AYUSH systems. Singh, who has been a professor of diabetes and is the ex-Chairman of National Scientific Committee Diabetes, also spoke about the disease at length. He laid emphasis on the need to tackle the disease among the youth and pregnant women.